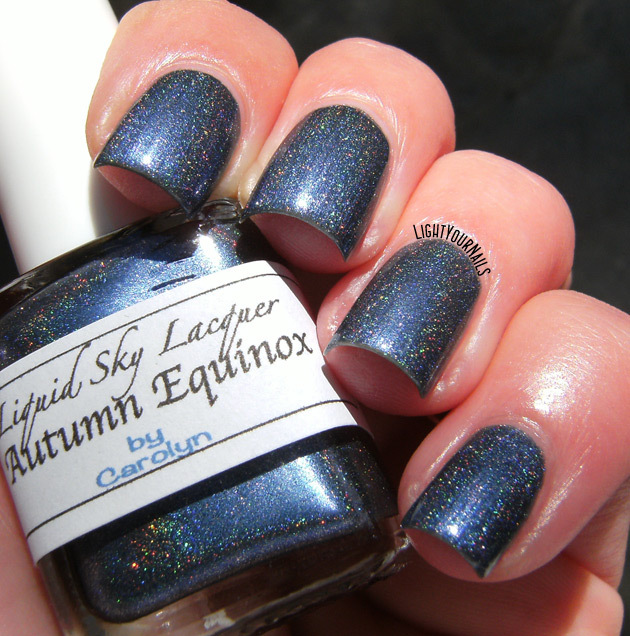 Liquid Sky Lacquer Autumn Equinox | Light Your Nails! non sono tra i miei preferiti! Di solito nemmeno tra i miei, ti assicuro! Holo polishes look breath taking beautiful in the sun. This makes no exception. Love it! 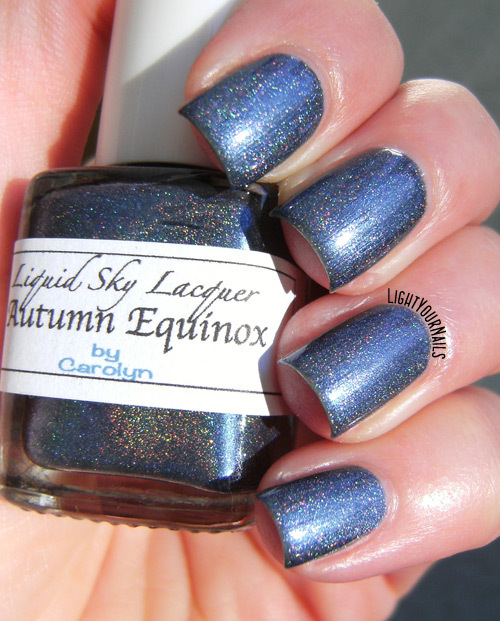 This is beautiful - I love Liquid Sky Lacquer! It's a great brand, all their polishes are flawless! 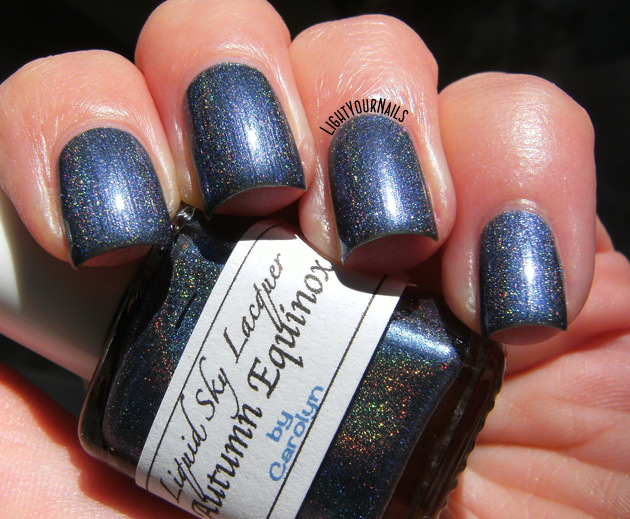 Beautiful holo! I usually don't like the 'frost' vibe on a polish, but it just ends up working so well here. A perfect polish for a sunny autumn day :)! this is such a pretty shade. The frost makes it great for winter! That's an awesome point of view Nichole! So holo!! I love how blinging this is! Gorgeous capture! Not sure how I feel about the frosty finish, but it is quite lovely. Love Liquid Sky Lacquer polishes. THis is a gorgeous one! I agree! I have quite a few and all of them are fantastic!